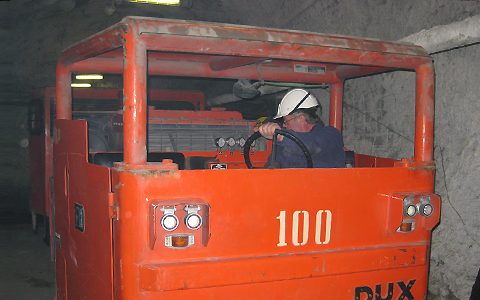 Ranging in capacity from 5 to 50 metric tonnes, DUX four-wheel drive articulated underground haulage trucks provide fast tramming up steep ramps. These trucks offer outstanding reliability and can be customized to your particular application. 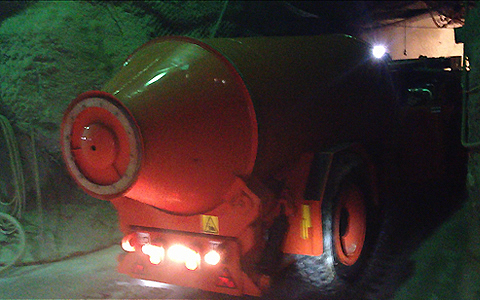 DUX four-wheel drive articulated underground concrete haulers, remixers and shotcreters are designed and manufactured for concrete/shotcrete transport and ground support applications in harsh underground environments. 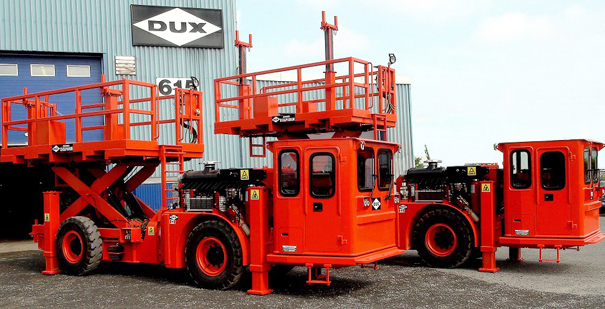 DUX four-wheel drive articulated underground utility equipment includes multi-purpose cassette systems and dedicated trucks for transporting water/fuel/personnel, as well as aerial booms and scissor lifts. 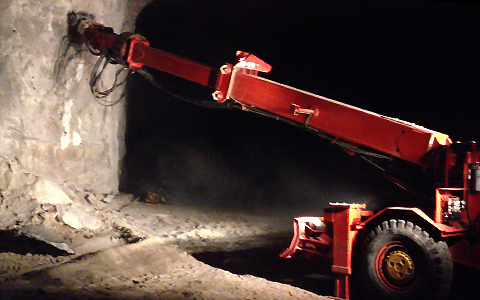 Proven in the field for over 15 years, DUX underground DS-Series scalers are cost efficient, reliable, high production machines designed to safely scale loose rock from up to 9.14 meter (30 feet) high tunnel backs and ribs. Visit the Products page for details on the full range of DUX underground haulage, concrete/shotcrete, utility and scaling equipment. 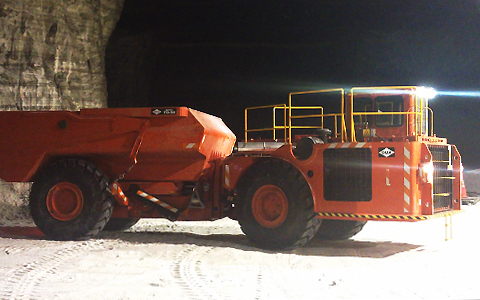 DUX Machinery Corporation is Canadian manufacturer and supplier of heavy-duty underground equipment. With over 45 years experience, DUX offers a full range of products designed to meet the needs of mining and tunnelling projects worldwide. With every truck sold, DUX is committed to offering the very best in after-sales service and parts back-up through its worldwide network of agents and distributors. Please contact us for more information on products shown on this web site.